Absolutely gutting, not the start to the season you wanted for sure..
That's so unlucky mate Just hoping that the season can only get better! The first true month of the season has come and gone. It was a month of highs and lows but for one player he continued his hot streak from preseason. Despite some bad aspects of the month there were many bright spots that will make you happy. Here is what occurred in August. 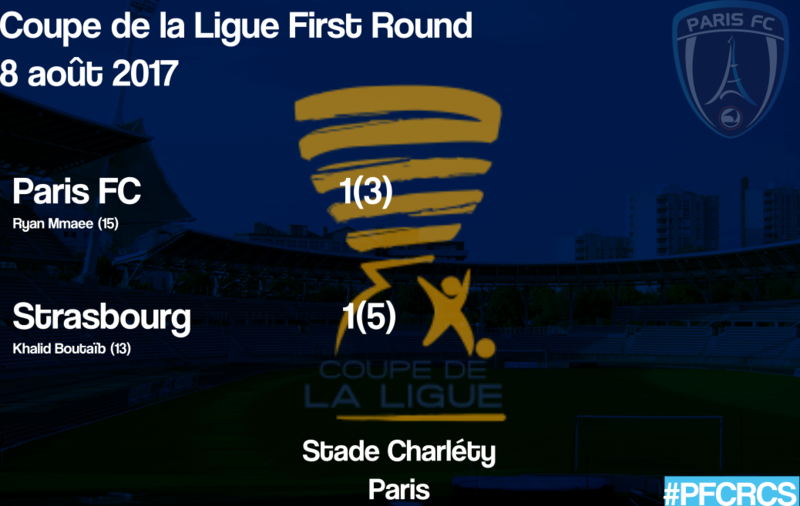 The first match of the month was the in Coupe de la Ligue. 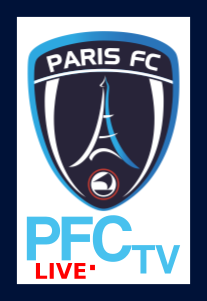 As the favorites Paris FC struggled and would only score a goal. Ryan Mmaee scored the only goal in regulation. Later on a missed penalty and lackluster play resulted in penalties to decide the match. It feel apart sadly as Demba Camara missed on the opening kick leading to a Strasbourg victory. 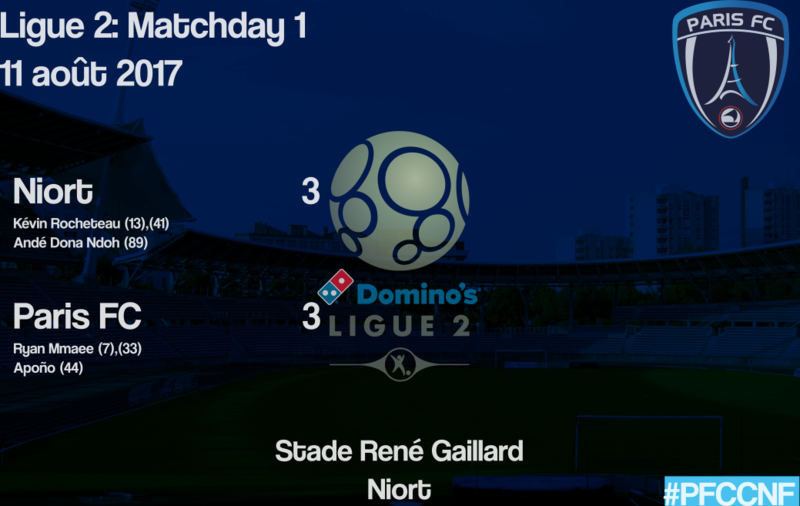 The first match in Ligue 2 was very exciting as six goals were scored between the sides. Ryan Mmaee added two in the first thirty-five minutes while Apoño scored his first of the season. Closing in on the final few minutes of the match Paris were ready to celebrate but a Niort player equalized in the 89th minute. a 3-3 result was not a bad way to kick the league season off. In the following match against Sochaux Le PFC had a very good day on the pitch. In this 3-1 victory Gauthier's men out scored and out played the 20th placed team in the league. Fan favorite Demba Camara redeemed himself from the Strasbourg match with his first two goals of the season. Ryan Mmaee scored once more to give himself four for the month. The only goal for Sochaux came from a blunder from Romuald Marie who scored an own goal. 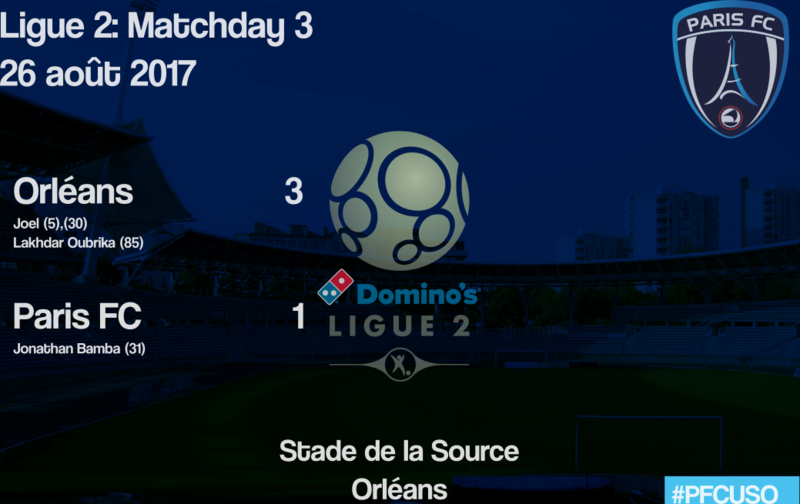 Finally the month ended with a 3-1 loss to US Orléans. It was a rough day as they would counter every move we had for them and beat us in every single way. Jonathan Bamba gave PFC their only goal with his first of the season in the 31st minute. 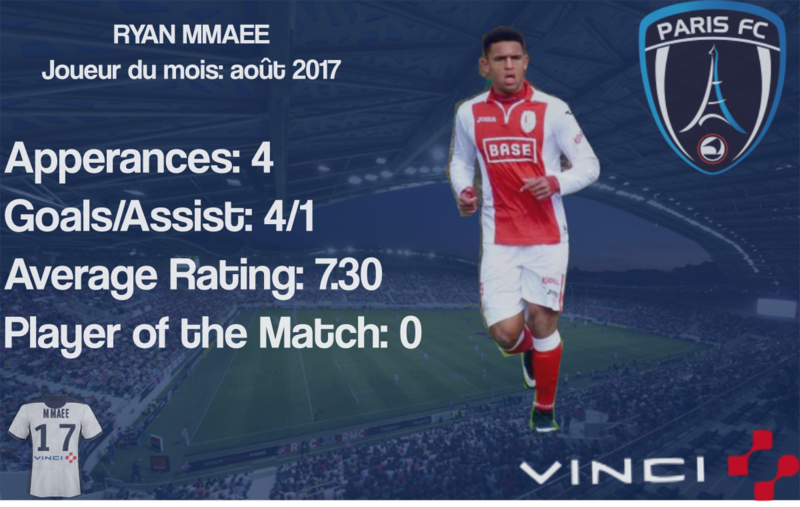 Ryan Mmaee is continuing to show why he is the top player on the team with another excellent month. He started all four matches and scored 4 goals and had 1 assist. Sadly he did not win any Man of the Match awards but that is ok. His goals were a key reason that we finish the month in 10th. "It is hard to talk about this loss as we did all we could. There were so many chances in the second half especially when they were two men down. My guys are hurting right now especially Demba who is sick after missing the opening kick. I hope we can learn from this and have better luck in Ligue 2." 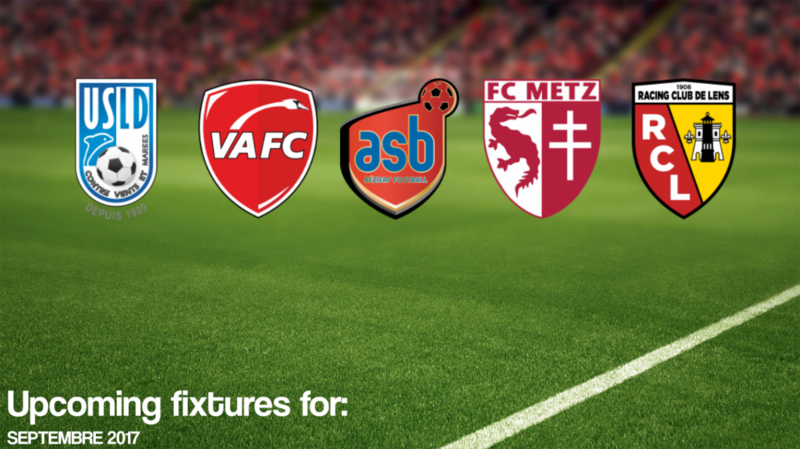 September will feature five matches including two against Dunkerque and Béziers who joined us from the Championnat National. Here are the five matches and their dates. Mixed start for sure, but mid-table would be a solid finish after promotion of course. In my opinion the second summer transfer window since taking over was by far the best of the two, hell you can even count it better than the window. 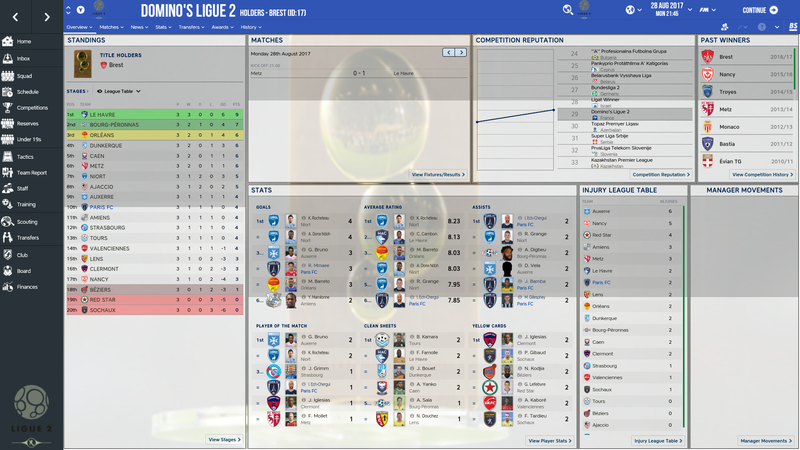 With promotion to Ligue 2 I knew we needed to make this club stronger and younger in order to survive. That is what happened and I mostly went for loans and free transfers again. I feel these crop of players might be the best this club has seen in a long time. So far I feel Macaulay Gillesphey and Ryan Mmaee have been the stars of this group of new players. Anyways here is the list of players that joined. Below I will be profiling a few. So glad I said yes to Ryan. Did you know I almost rejected his loan because I didn't feel he was "good enough" for the club. Boy I was proven wrong as he is a goal scoring machine. 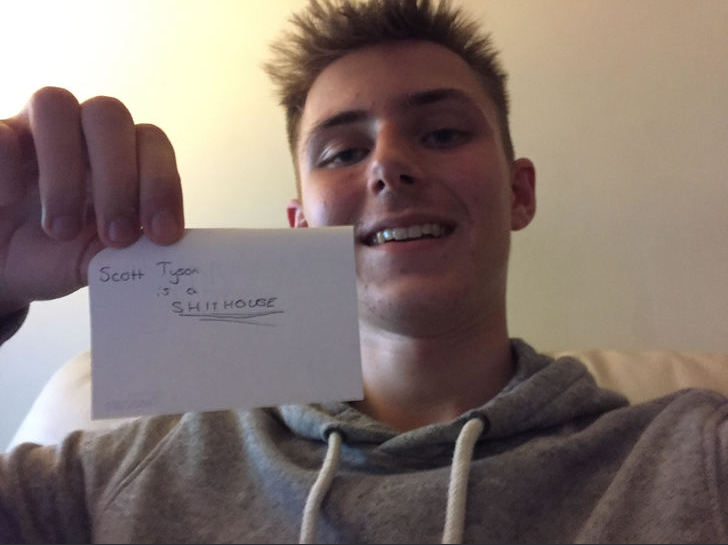 Ryan will get us away from relegation, I believe it. He has the looks, skill and number to be great. Yes this Kobe wears the same number as Kobe Bryant. Having Mr. Cools on this team has been great as he has a fan club started by ScottT. Well I felt he has a lot of potential that will translate to a key player in the coming years. Nathan has great potential and is going to be one of our future stars. I really can't believe PSG released them, what a bunch of idiots as Nate is going to be the next greatest DM in France. Having signed him lat season I am happy to announce he is finally with PFC. 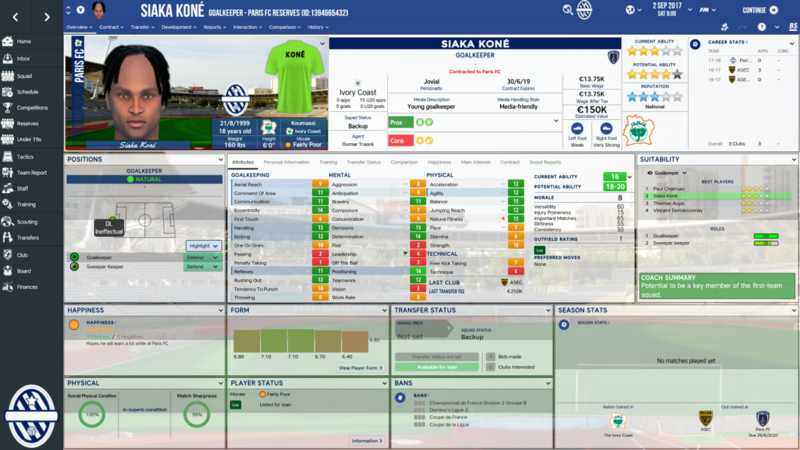 Siaka will easily be our future goalkeeper and I just have a funny feeling that he is going to be a name like Neuer, Lloris, Heart and Buffon. As of right now my scouts believe he is the second best keeper at the moment, this means I might get him a few games this season. As usual when a new season comes especially after promotion you will lose several players for many reasons. It could be they are no longer good enough, didn't want to resign or another team wants them. This was the case this offseason with fourteen departures. A few names include Lalaïna Nomenjanahary, Maka Mary, Rodrigue Bongongui and many more. 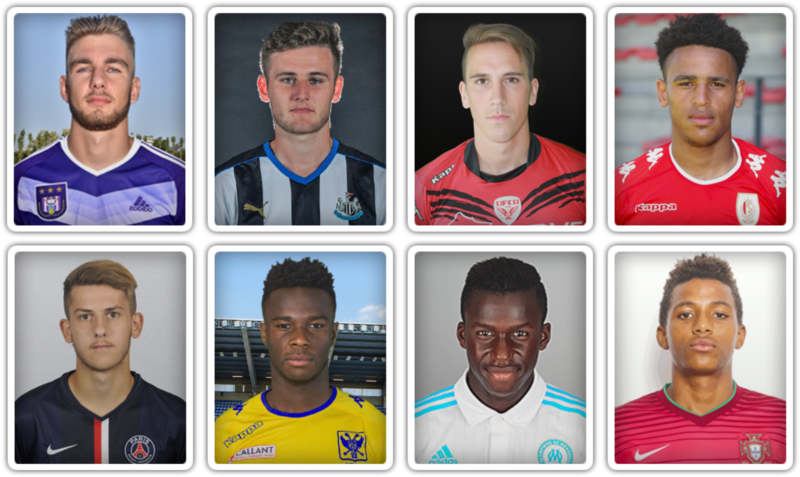 I present to you a few players that were transferred with cash deals and players on loan. Not very happy about this departure as the board sanctioned it. He was going to be a star and now we might not have a chance to see him develop. What is worse is that he came to the u19s during intake day. At least if things go well we will make more money. Bruno is going to be a good player but I felt it would be best if he had a chance on loan to work on a few things plus we are quite deep at the AMR spot. He is with our affiliate club in CFA 2. Kobe Cools is a hero though, can you blame me? Glad to hear about the success stories of your other signings but it's a shame to hear about the board selling Caron without your say so, hopefully he flops. 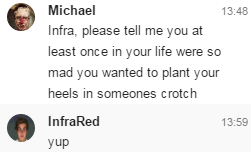 hey cool story mate, like it a lot. This month on our monthly interview, we interview the current star striker of the Paris FC senior team, Belgian Ryan Mmaee. "So, Ryan, you have scored 4 goals in 6 appearances for Paris in the league so far, and 5 goals in 7 appearances in all competitions. Realistically, how many goals do you think you'll end up with at the end of the season?" "I can't really give an exact number but it will be a good amount. I have a great group of teammates that have been the key to my hot start so far. As long as we are on the same page just expect more." "That is really good including your teammates like that, is there anyone you enjoy working with the most on the pitch?" "There are several but I feel Demba (Camara) is my favourite to work with. We link up really well and we train together a lot. He has helped me become a better player and I feel I have done the same for him." "What do you think about Kévin Gauthier so far?" "I really like him so far. 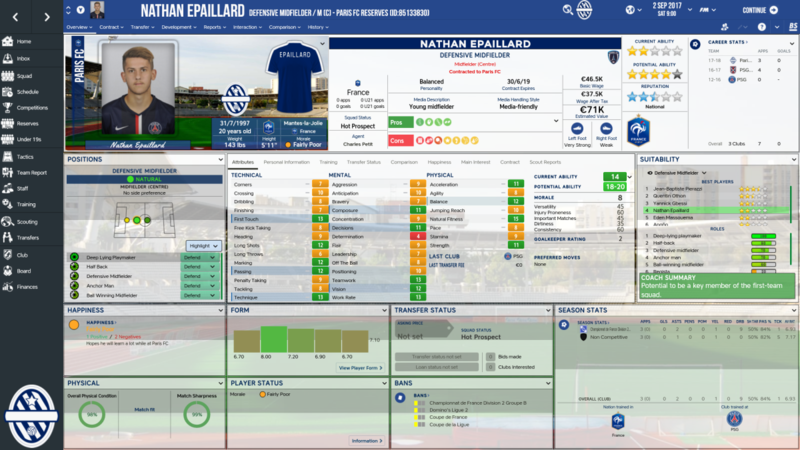 Since joining on loan he has made everything possible to help me get settled in. Plus his coaching methods are top of the line. I hope to keep impressing him and I hope to see that he gets some recognition for his work." "Realistically, where do you think the club will finish at the end of the season?" "If we keep at it I feel mid-table. Many of the so called experts believe we are going down and I don't believe that. Coach Gauthier has a plan and we all are for it." "Your brother Sammy and you have been playing together for all your lives and this is the first time you two have been on separate teams, how does that feel?" "It is weird for sure and I miss training with him. We talk all the time and it is good seeing him playing on the first team. I hope he continues playing well." "Would you like the management to bring him here on loan?" "That would be nice but it is not up to me. I feel he would be a great addition but with him playing as it is I doubt it." "What do you think of the other summer signings made by Gauthier?" "I like them and feel this is a great team. Especially fellow Belgian Kobe Cools." "Last question, obviously you are on loan here so are you interested in making it a determinant deal?? You seem to be really enjoying it here so I thought I would ask." Good interview there from Ryan. With form starting like that I wouldn't be surprised to see him hit 25+ this season? Good relationship with the boss is key, too Will you be looking to keep hold of him in the future if he keeps up this form?